We believe every journey needs a plan. We want to be your partner on your financial journey! 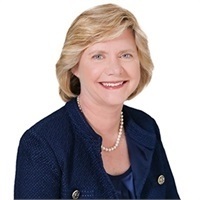 We are a team of three experienced advisors, with five additional team members dedicated to providing the best experience we can for our clients. We have chosen a more independent route, not part of a bank, mutual fund or insurance company, so we can put the needs of our clients first. 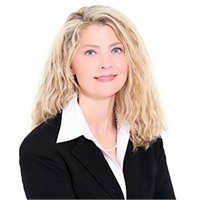 We believe in providing comprehensive financial planning for our clients, using software from eMoney Advisor, who we believe is a leader in the industry. 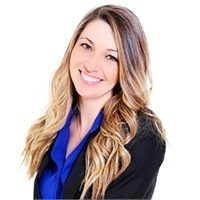 Clients have a portal with single sign on where they can see in one place their bank balances, investment accounts, monthly statements, financial planning and much more. Our goal is to use the great technology in the industry to provide the best experience we can for our clients. Start your journey with us today. Use this link to "Start Your Journey", or with the button above. You can also use this link to complete a Risk Free Analysis to help us work with you to design a portfolio based on your needs. We start by understanding the goals of our clients. Then we work with clients to create and implement a comprehensive financial plan that is unique to them. What is active management of investments? We provide the active management of our client's investments. We will adjust investments based on the market and become more defensive in weak markets. Yes. 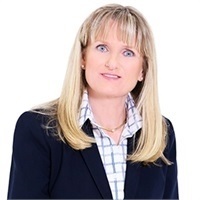 Elaine Manley, Scott Manley and Linda Tjiputra are Fiduciaries. We are ethically bound to act in our client's best interest. We often work with successful women, intellectual couples and younger families with higher incomes that are still accumulating assets. They want us to work with them to create a financial plan, manage their investments and develop a long term relationship with them. Why is our office design unique? Every detail of our new office was designed to provide an optimal experience for our clients. We included a Cafe and an area we call The Living Room. Use this link to learn more about our office design and why it is unique. 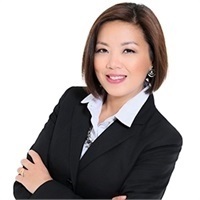 We expect our clients to be engaged in the financial planning process and implement the agreed upon action items. They work with us in a courteous and respectful way and we do the same with them. 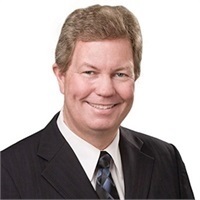 - Traditional IR annual maximum contribution limit increases from $5,500 to $6,000. - 401k annual maximum contribution limit increases from $18,500 to $19,000. - The Catch-up Provision for people 50 and over remains at $1,000. - The annual income limits to be eligible to contribute pretax to a Traditional IRA and post-tax to a Roth IRA also changed. There are more details about these changes in the chart you can download here. 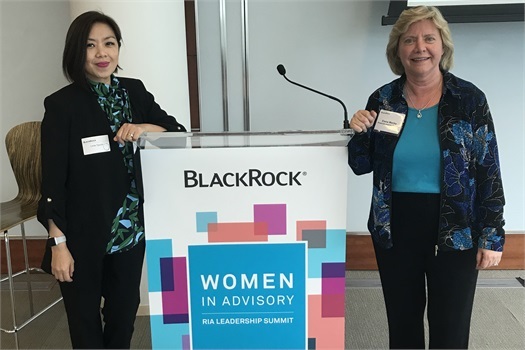 On April 3-4, 2019, Elaine and Linda attended the BlackRock Women's Summit in San Francisco. BlackRock manages $3T in assets and is one of the largest asset managers on the planet. They learned more about BlackRock's investment strategies, products and views of the market. They also heard presentations by other successful women advisors and women in the our industry. The conference provided ideas on new investment strategies to evaluate and ideas on how we can improve the ways we serve our clients. It also confirmed that the systems and processes we implemented in the past year have put us in a position that is among the top in our industry. 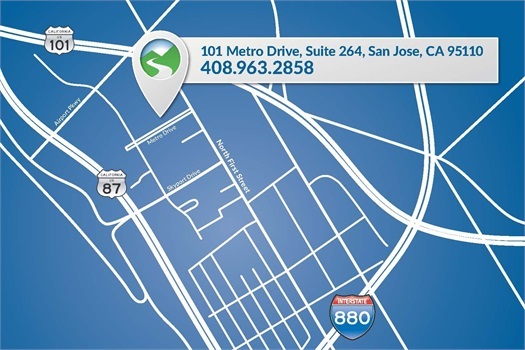 Our new address is 101 Metro Drive, Suite 264, San Jose, CA 95110. Our direct phone numbers (408-963-XXXX) are the same, but our emails have changed. They are listed with our contact information below. Or you can call our office at 408-963-2858. 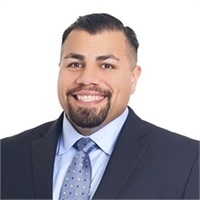 At Financial Journey Partners, we see ourselves as your long term partner as you travel through each and every financial decision you make in your life, from college planning to retirement planning. Along the way, no experience is too small to be worthy of consideration, whether it is how to lease a car or which job offer to accept. Depending upon your place in your journey, our work together may entail guiding you through some or all of the following experiences. Set up your own personalized website to view your investment accounts, access your brokerage statements and track your spending all on one site. Learn more about the exciting features and benefits we have available for our clients. 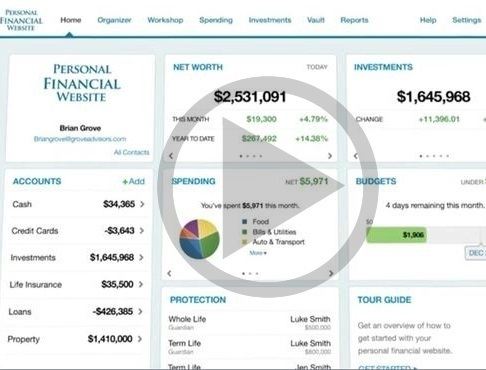 We will use this new software to do interactive financial planning with clients. 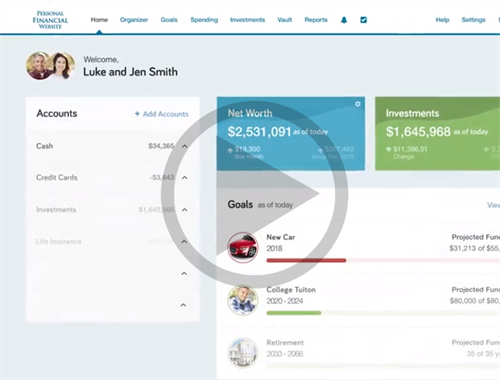 Also included is a personal financial website for our clients with lots of exciting new features. The security of your data is very important to us. See the video below for more details. See your advisor and they will help you set up your new personal financial website.